With its lovely design the BIG bike Girl will make every little girl happy. While the young ladies aged 18 month and up sitting on their comfortable bench seat, they're also training their sense of balance in a fun way. The stickers with diamonds together with the bright shade of pink are guaranteed to delight all young ladies behind the wheel. Perfect ergonomics and a low centre of gravity ensure that the ride-on vehicle provides maximum safety and brings the little girls always to their desired destination in a comfortable way. 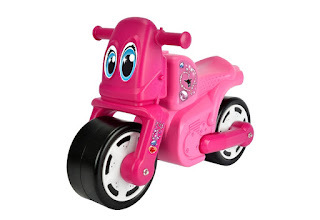 Two extra wide wheels ensure high stability. 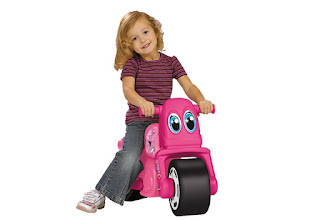 The wide handlebars allow children to steer the BIG Bike Girl in perfect safety.